Our efforts at the Jack Kirby Museum are made possible through your support. For example, we were able to host an event-filled three week Pop-Up Museum on New York City’s Lower East Side, just blocks from where Jack Kirby was born and raised. With your help, we will be able to host more pop-ups, more events, and more exhibits that show the influence of Jack Kirby and his work in our culture today. When: Tuesday-Sunday (Closed Mondays & Thanksgiving) from Noon through 7pm. We may stay open later for special events. Veterans Day – Comics: Combatives starts! 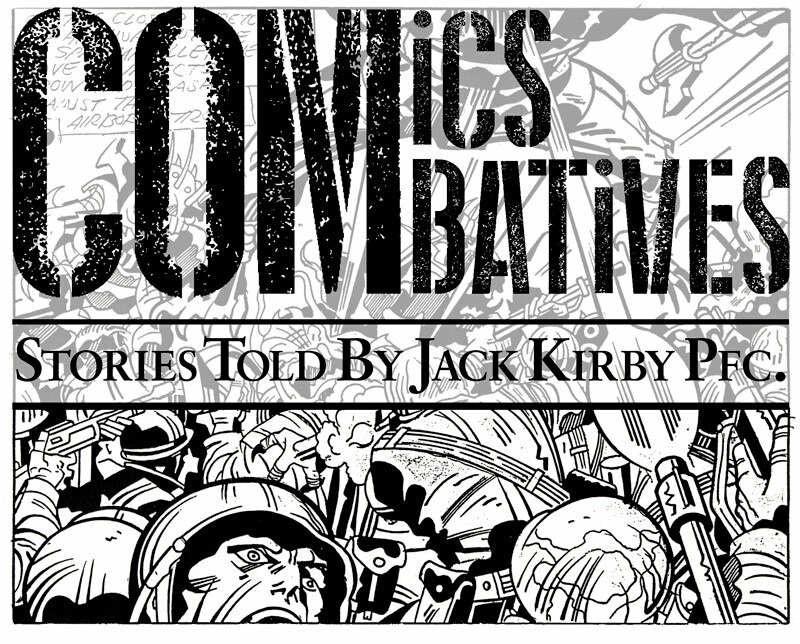 Today is Veterans Day and the opening of the Jack Kirby Museum’s 3 week popup event, Comics Combatives: Stories Told By Jack Kirby Pfc. in NYC. There are events planned each week, check back here for more information. We’re looking forward to meeting all visitors! Thanks to the support of Tom Scioli and Jean Depelley, we are proud to have published a new edition of their “2/12 Days In Hell: A Private Kirby Adventure” mini-comic. 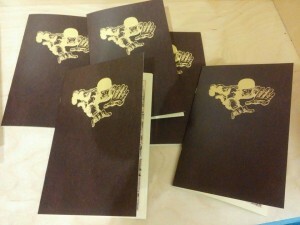 Available for the next three weeks at 103 Allen Street. THRILL to the wonders of a NEW mind-blowing VisuaLecture from Pop Culture Historian, Author and Designer Arlen Schumer on Sunday Afternoon, November 15th! 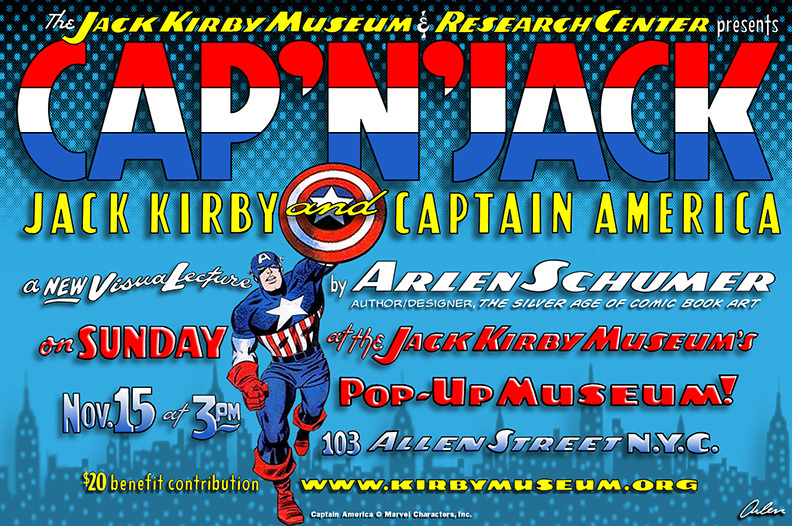 Arlen is generously offering Cap ‘n’ Jack, his latest VisuaLecture, as a fundraiser for the Kirby Museum while we’re set up at 103 Allen St on NYC’s Lower East Side! Arlen’s awesome book The Silver Age of Comic Book Art will be for sale! Captain America videos will be shown before and after! A Cosmic Release Event with TwoMorrows! – Sat. 14th Nov. The Jack Kirby Museum is pleased to welcome you to our TwoMorrows Publishing sponsored fundraising event! The first 50 attendees will receive a copy of the new issue of the Jack Kirby Collector – before it arrives in comic shops or subscribers’ mailboxes! 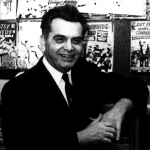 Jack Kirby Collector and TwoMorrows Publisher John Morrow will present a personal look at jack Kirby and the history of TwoMorrows Publishing. Advance ticket sales are available via PayPal. JohnYou must attend to receive the magazine, to enjoy John’s presentation at 4pm, and to delight in the tasty snacks and drinks we’ll have on hand. Jack Kirby-based superhero cartoons shown before and after! Comics Combatives: Stories Told By Jack Kirby Pfc. Please join us starting November 11th at 103 Allen Street (near Delancey) on New York City’s Lower East Side for our next Pop-Up titled Comics Combatives: Stories Told By Jack Kirby Pfc. For three weeks, we’ll display art and pages from stories containing combat and action in the signature Kirby style! This will include classic pages from Captain America, Thor, Foxhole, Kamandi, The New Gods, and much more! Opening Week Event – Details will be announced shortly! 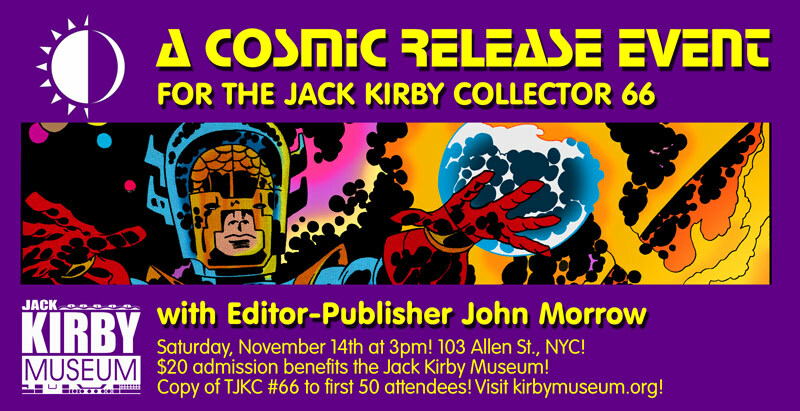 Saturday, November 14th – TwoMorrows Publishing sponsors a Jack Kirby Collector 66 release party, featuring publisher and editor John Morrow! We have more events for the whole three weeks in the works – Stay tuned! When: November 11th through the 29th. Closed on Mondays and Thanksgiving Day. Special thanks to our friends at MILES. ¡Kirby-Zone! in NYC this Friday night! 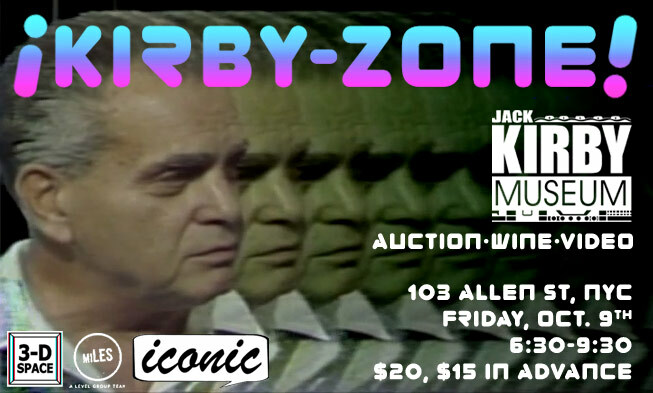 We’re hosting our first fund-raising event “¡Kirby-Zone!” this Friday night smack dab on New York City’s Lower East Side at 103 Allen Street. You know, the neighborhood Jack Kirby worked so hard to move his family OUT of. Nevertheless, we’ll have some wine, appetizers, a small silent auction, and a screening of Kirby’s 1984 appearance on “The Zone Show”. The recently uncovered video interview was a hit at San Diego this past July, with Kirby’s comments juxtaposing hilariously with 1980s video SFX. The video will be projected at 8:30. The Kirby Museum will share our plans for our next Pop-Up on the Lower East Side that opens on Veterans’ Day, and some activities planned to celebrate Kirby’s 100th biirthday in 2017. The silent auction will contain some items (not original art, nor anything signed by Kirby) we’ve obtained in recent years. Along with the show, free booze! We will be joined by author and winemaker Birk O’Halloran, the owner of Iconic Wine. In addition to the wines being poured at some of the top restaurants in the country, the labels feature art by such great comic artists as Ming Doyle and Cliff Chiang. Birk will be featuring a line of his wines that retail from $18 to $60 a bottle! Guess which ones will go first? So get here early! Advance tickets are $15, $20 at the door. Meltdown Comics and Heavy Metal Magazine are hosting an exclusive gallery event this Thursday, Sept. 17th, showcasing this work in bold psychedelic blacklight! Co-creator Barry Geller will be in attendance. Jack Kirby’s birthday – Celebrate! Jack Kirby was born 98 years ago today. It’s a good day to re-visit some of your favorite Kirby work, or even to explore some of his work with which you’re unfamiliar. Make today Kirby Day! The Hero Initiative is a fantastic organization that helps comic book creators in need. Since 2012, Jack Kirby’s granddaughter Jillian Kirby has run the Kirby4Heroes campaign to raise funds for The Hero Initiative in Jack’s name on his birthday. This year, her goal is to raise $20,000. Comic shops around the US are participating by offering percentages of their sales today to the cause. In that spirit, we will share 50% of the proceeds from the sale of any of our t-shirts today on our web store with Kirby4Heroes. Click on the shirts below to be taken to their sales page. 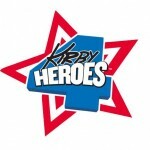 To donate directly online, visit The Hero Initiative at heroinitiative.org (and be sure to type “Kirby4Heroes” in the space for “special instructions”). Wake Up And Draw is project where comic artists spend the day creating art that will then be auctioned off to benefit Kirby4Heroes and The Hero Initiative. Follow #WakeUpAndDraw on Twitter and Instagram to see what everyone comes up with. The largest exhibit to date of Jack Kirby original art the US, titled “Comic Book Apocalypse: The Graphic World Of Jack Kirby,” is being shown at CSUN in Northridge, California. If you can, stop by! If you can’t, there are some photos here on curator Charles Hatfield’s blog. 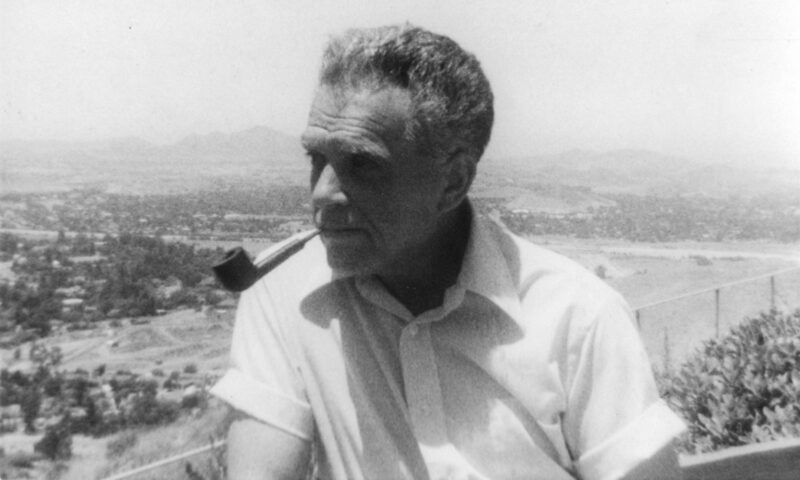 Our own KIRBY-VISION blog has published an awesome Jack Kirby portrait gallery today. 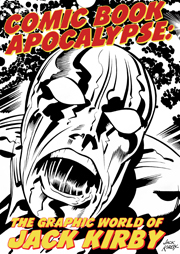 Comic Book Apocalypse – a three month long exhibit of Jack Kirby’s work – opens today, 24 August 2015, in the Main Gallery at California State University at Northridge. 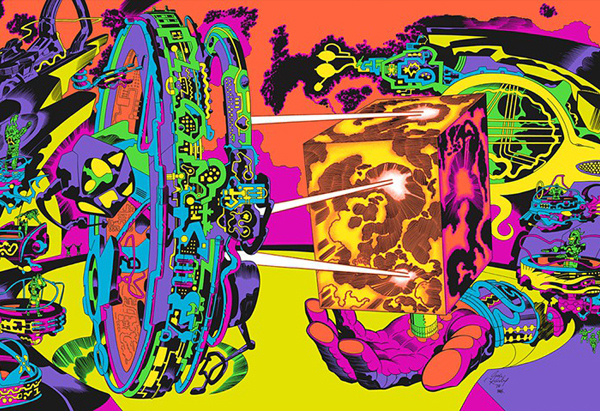 Curated by professor Charles Hatfield, author of Hand of Fire: The Comics Art of Jack Kirby, and a member of the Jack Kirby Museum’s newly minted Advisory Board, the show is the largest exhibit of Kirby work to date in the United States. Comic Book Apocalypse contains over 100 pages of original Jack Kirby art – mostly later DC work (Kamandi, New Gods, Forever People, and Demon), but there will be examples of Kirby’s Marvel and Golden Age 40s and 50s works, too. One room will be devoted to the original art for the complete Kamandi, The Last Boy on Earth #14 story, “Winner Take All!” with ink and lettering art by Mike Royer. The Kirby Museum provided three interactive iPad displays containing items from our digital archive that will be displayed throughout the exhibit, as well as other items and support. There is a public reception on Saturday, 29 August 29 from 7-9pm, a gallery talk at 10am on August 31st and a panel discussion at 1pm on September 26th.